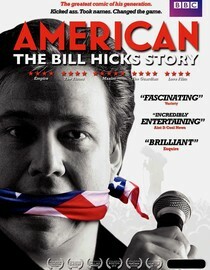 A wonderful documentary about the comedian Bill Hicks. The movie takes a look at the roots of the comedian including insightful interviews with his close family, friends, and colleagues. Taking his influences from greats such as George Carlin and Richard Pryor, Hicks made a splash on the comedy circuit with his dark humor and spot on culture commentary. I remember this movie being on TV one idle Saturday afternoon, and not thinking much of it, I started watching and feel in love. Written and directed by Robert Rodriguez (yes, that one), SPY KIDS follows a brother and sister as they try to rescue their parents, who are former spys and have been kidnapped. A great, fun, and smart family film. As many of you know, here at WDYMS, we went and watched RUBBER a few months ago with not the best experience. Now that experience is behind us, everyone can experience the magic that is RUBBER for themselves. This movie is absolutely ridiculous, yet somehow, it's so much fun. If you can't concede to the premise that a tire comes to life and starts to kill people...then this movie isn't for you.